Is your home heater or HVAC unit in need of repair? J & M Smith Heating & Air offers heating and air service and repair to residents of Joplin, Missouri and the surrounding communities. We pride ourselves in providing reliable, quality services to commercial and residential customers in the area. 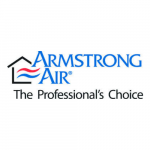 Our full service offerings include: HVAC, refrigeration, boilers, appliances, and preventative care. Browse our website or contact us to learn more. Thank you for visiting our page! We appreciate you taking the time to view our website and we look forward to working with you. 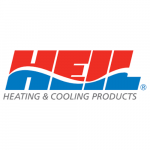 Is your heating and cooling system ready for the cold winters and hot summers that come with living in Joplin, Missouri and the surrounding area? Let J & M Smith Heating and Air help keep you comfortable, no matter the season. 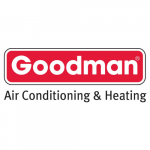 There’s no reason to suffer through a cold winter waiting on heater repair! We are here to serve all your refrigeration needs. We repair and service walk-in coolers, cases, and freezers. We also install new units for restaurants, grocery stores, convenience stores, and warehouses. If you have a boiler, you know it is a key part of your home or business. You depend on it for heating, hot water, or both. Let J & M Smith help keep your boiler in working order. You depend on your household appliances every day. An appliance that does not work is stressful. If one of your major appliances is not working, we will work with you to get it back in working order as soon as possible.